The Scotland international has just 15 month remaining on his current deal with the Cherries, and so far, the club have not found the breakthrough with regards to a contract extension. According to The Mirror, the Cherries are likely to continue discussions with the player's representative regarding a new deal, but the failure to reach an agreement by the summer could witness the sale of the attacker. Tottenham Hotspur and Arsenal are both said to be keeping a close eye on the proceedings, but the latter seem more desperate to sign Fraser, given they have lacked a natural winger in their ranks, who can make regular goalscoring contributions. 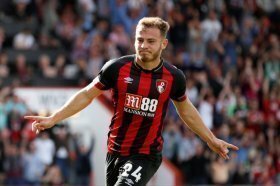 Fraser is currently enjoying the best-ever professional season of his career, and he has contributed six goals and 10 assists for Bournemouth in the Premier League campaign.